Work for Sage 500 ERP? Learning about Sage 500 ERP? "Great for Larger Companies, Not for Small Businesses"
You can scale it meet the heavy needs of larger corporations, but it also works for medium sized business. Gives great internal control and reporting for audit purposes. It makes processing a large amount of data faster through batches and automatic data entry. Each module is designed to best suit that particular task, whether it's Payables, Receivables, or Purchase Orders. Works great with clients that have many accounts or treasury management products. It also has detailed inventory tracking which is absolutely essential for any manufacturer. It's detail-heavy, and quite cumbersome, for the average small business. Workflow is best suited for a company with dedicated roles, not a one or two person team. Tasks are segment into modules, so navigating from task to task is harder than other programs. While G/L tasks are generally straight forward, it does make cash reconciliations and banking transactions a little choppy. If you're not used to batch transactions, it could be a lot of steps to accomplish simple tasks. Definitely not for smaller businesses with little data volume. Be prepared to invest time and money into this product. While it's a great product, it's not a turn-key program. Internal controls have improved through the use of workflow approvals and user role permissions. The program works well for those in a dedicated position such as Accounts Payable or Sales and Customer Service. Streamlines the manufacturing process with Sales Order, Work Order, Bill of Materials, and Material Requirement Planning Modules. Also directly integrates with other Sage products like Sage Fixed Assets, which makes depreciation a breeze. "Good But We Need Better If Not Best"
I like that it can accommodate 3rd party modules. The system is not Smart or intuitive. I experienced some data were not flowing from one module to another causing some errors or an extra work to redo transactions. Sage 500 ERP is good enough but there are better tools. If you are on a budget, you can consider this and get value for your money. If you have more budget allocated, you may consider others before settling for this. I am using this for Accounts Receivable and Revenue Recognition. This has helped us in recording and monitoring Invoices, Payments, and Outstanding Balances. It is good for stock control, for project management and for the creation of purchase orders. Every change needs to be done by Sage (it's like you have 0 control). Their customer service is quite a disappointment if we consider the license cost. Most of the times they couldn't help us and they were just offering more add-ons to fix it our issues. I solved my stock issues, I was able to control my stocks better, and the creation of purchase orders and receiving was good as well. "Can be very complicated and not compatible with MAC"
I like how you can see all sales order information and history of a product in the system. I don't like that you have to pull many reports to get the information you need. It is very frustrating. Also, I use a MAC and it is not compatible so I have to remote into a PC and log in through there. We are able to have all manufacturing, sales orders, inventory, etc. in one place. The benefits are putting it out in the field and field personnel using it, keeping our information live and up to date. "many issues and gaps with process manufacturing"
limited automation and functionality. many clicks and buttons to go through. screens are not intuitive. i would not recommend to anyone in consumer goods, specifically process manufacturing. process manufacturing and the ability to receive sales orders and send emails efficiently. 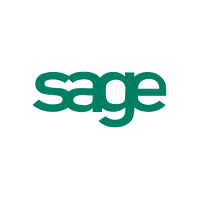 "CFO, Used Sage over five years"
Sage has products for all sizes of companies, and the product can grow with each. It is easy to use and requires little training. I have not found anything to dislike about Sage. Everyday entries and monthly/yearly analysis. Sage system tends to fail/go down after mas updates. Reliability is not a strong point for this system after updating. It's a great system for data entry use in small companies or large. Multi window operations. Fast functioning for data entry use. Sage is an easy to follow software for a small business. Still a little behind technology for somethings needed. Make sure you have everything set up that you need in the system the first go round. Accounts payable, construction supplies and bank reconciliation. Sage500 is a very easy to learn ERP system. There were not any dislikes using the system. * We monitor all Sage 500 ERP reviews to prevent fraudulent reviews and keep review quality high. We do not post reviews by company employees or direct competitors. Validated reviews require the user to submit a screenshot of the product containing their user ID, in order to verify a user is an actual user of the product. Hi there! Are you looking to implement a solution like Sage 500 ERP?